The most obvious weakness that a bootstrapped business has is its lack of capital. Without investment, a business simply can’t grow. The biggest strength of a bootstrapped business? Most often, it’s the creativity and enthusiasm of the founders. By hook or by crook, they find a path to success, using their minimal resources effectively. 100% free, Google Search Consoleis a great way to monitor the performance of your website. You can use it to gauge where search traffic is coming from, and assess what’s working and what isn’t on your website. Once you have this invaluable information, you can start to fine-tune your SEO efforts so that you drive more, high-value traffic to your website. Over time, this will boost conversions and help you grow a stronger audience. All businesses need a logo – a logo essentially represents the face of the brand and it’s the first thing we picture when we think of a company. Try to think of Coca-Cola without picturing the logo! Of course, creating logos can be expensive, especially if you hire a professional graphic designer. This is where Shopify’s Logo Maker comes in. It’s a neat tool that lets you put together a creative and stunning logo or banner in a matter of minutes. For bootstrapped business owners, it’s absolutely ideal. MailChimp is an email autoresponder that you’ll need once you start building your email list. It’s free until you’ve got around 2,000 subscribers, or alternatively you can sign right up to their ‘Growing Business’ plan for $10 a month that gives you access to unlimited sending and advanced testing tools. Email lists are important for all businesses. They’re a very cheap way of bunching our customers together in one place, and when you use a tool like MailChimp – which can segment your list so that the right customers receive the right emails – it’s super easy to build awesome relationships with people. All online companies – no matter how big or small – produce content. But what happens when we run out of content ideas? Worse still, what if we keep pumping out content that no one wants to read? Conversions drop, as do sales. Our business loses its presence online. BuzzSumo is a tool that resolves these problems. It analyzes the best performing content on the Internet so that you can generate better content ideas. In other words, you can use BuzzSumo to create a content marketing plan that will score you more readers. This, in turn, can improve your conversions and sales. You don’t need a massive pot of gold to succeed on social media if you’ve got a tool like BuzzSumo for content ideas – and a tool like HootSuite for managing your social media channels. Social media can easily get on top of us, which is why HootSuite was created. It comes with a 30-day free trial, links up over 35 social networks, and measures things such as trends, which posts are performing best, and what’s working and what isn’t on your platforms. In 2018, more and more teams are remote-based. Keeping track of everyone can be tricky, especially when cash is sparse and you don’t have office space. A tool like Slack helps to keep your team together in one, digitized space. It’s great as a communication resource, and it helps to keep your team on track and up-to-date. It works well as a project management tool and comes with real-time messaging. Pitching isn’t easy, but it’s essential. A solid, well-crafted and compelling pitch can be the difference between you securing investment for your business and going back to the proverbial drawing board. Pitcherific is the tool that raises your presentation to the next level so that your pitch convinces investors to do business with you. Overall, bootstrapping is exciting and there are affordable and even free tools that can help you grow your business. However, businesses ultimately live and die by cash flow. If you feel like your business could do with some extra capital right now, we at IOU Financial provide affordable small business loans to help you scale. For instant pre-approval and funding, apply now. Michelle Deery is a content writer for Heroic Search in Tulsa. 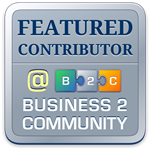 She helps businesses improve their sales by writing educational and engaging content. Entrepreneurs bring all sorts of skill-sets to their venture, such as the ability to sell, or to organize activity, or to raise funding. Some might have a business background, but others might need to learn the ways of business while on the job. Here are 14 terms you and every entrepreneur should know, because they involve central concepts that affect your business. Money owed to your business by clients. Typically, you invoice a client and receive payment some time later. An account is receivable until it is paid. Economic resources your business owns. Current assets are items like cash, receivables and inventory. Long-term assets include equipment, buildings, vehicles, furniture and patents. You utilize assets to generate income. These are the total resources available to your business, and is equal to your equity and debt. Working capital is equal to current assets minus current liabilities, and represents the resources available to run day-to-day operations. The movement of money into, through and out of your business. Inflows bring in money and include collections of sales revenues, tax refunds, and interest earned. Outflows are expenditures of cash and include payment of expenses and acquisition of assets. The decrease in the value of long-term assets due to the passage of time. Depreciation is a tax-deductible expense that spans a set number of years. Your ownership interest in your company. It is equal to your assets minus your liabilities. Equity is evidences by stock shares distributed to owners based on their percentage of ownership. The costs of running your business, including rent, salaries, legal costs, advertising, taxes paid, and utilities. A good business tries to minimize expenses while not skimping on essentials. Highly structured reports that indicate your business’ financial condition. They include the balance sheet (a snapshot of assets, liabilities and equity), income statement (revenues and expenses for a given period), and cash flow statement (inflows and outflows for a given period). Debt owed by your business. Current liabilities are due within one year and include obligations to pay credit-card balances, invoices from suppliers, taxes due, and wages earned but not yet paid. Long-term liabilities include mortgages and loans that mature in more than one year. Negative net income, created when your costs exceed your revenues. If you have too many losses, the chances are that your business will fail unless you have other sources of funds. Also called net income or the bottom line, these are revenues minus costs for a given period. Profits can be drawn off by owners or accumulated in an account called retained earnings. You can use profits to expand your company. Also called gross income and sales, this is the money you earn from operations. You direct your marketing and sales activities to generate revenues. A number representing how much your business is worth. Valuation is important when you are seeking funding from investors. You don’t need to be a financial expert to have a successful business, but knowing basic financial terms will help you communicate with other stakeholders. For those wanting to broaden their knowledge, the Internet is loaded with learning resources, and many colleges offer continuing education courses that might be useful. If you do not yet have a business website, you should make this a priority in 2017! Not showcasing your products or services online is likely hurting your company’s bottom line, as you are losing out on potential customers around the world that may not have the ability to walk into your physical location. What are the main reasons to go online this year? The reality is that e-commerce websites are quickly replacing brick-and-mortar locations. When big brands, such as Sports Authority, Staples, and Macy’s are either declaring bankruptcy or closing down stores, smaller enterprises that don’t have the same advertising budgets and funds to stay open may not fare much better. Brands such as Target and Walmart, which sell goods online as well as in physical stores, are investing funds into their e-commerce websites, which is where the majority of people are shopping. For a brick-and-mortar to be profitable, it needs to be in a location with a lot of foot traffic; however, renting or leasing a corporate space in a popular location is expensive. It is much more cost effective to sell goods online than out of an expensive storefront. Not having to pay rent for a retail space, as well as insurance, electricity, employee wages, etc. can leave more funds for inventory and advertising. All business owners would need is a warehouse, which is more affordable to run than a store, as well as order takers, packers, fulfillers, and shippers… saving money on paying the salaries of customer service representatives and sellers. Furthermore, moving operations, such as supply chain management, procurement, or billing online can lead to a savings of up to 5 percent on “maintenance, repair and operation costs; this five percent savings can turn into 50% of a company’s net profit,” states The Web Doctor. While a physical location relies heavily on foot traffic and traditional advertising, such as television and flyers, an online website allows business owners to target who they want to advertise to. For example, social media platform Facebook provides options to advertise to specific groups of people with 89 percent accuracy. Choose audiences based on location, demographics (age, gender, relationship status, education and employment), interests, hobbies, and behaviors. Targeted advertising allows owners to save money and efforts by not reaching out to those that would not be interested in their services, and provides a greater return on investment (ROI) on marketing only to a specific audience base. Companies that choose not to sell items online should still concentrate on establishing and promoting their online presence. Customers are demanding more from the businesses they patronize than a simple financial transaction. They want to learn about the brand and what it stands for. When companies are able to forge emotional attachments between their customers and their brand, they retain loyal customers. An online presence allows business owners to share relevant company news, information about new products, as well as philanthropic initiatives – all topics that can be interesting to current and potential clients. A small investment into a corporate website can provide a new revenue stream from online buyers. If you need help financing your move online, contact IOU Financial. Our company can provide a small business loan in under 24 hours. Congratulations. You’ve made it past the first year in business. That’s no small feat, as the Small Business Administration points out that 20 percent of small businesses fail in their first year. Sure, there are no guarantees when you open a business, and things can always change, often due to forces beyond your control. Nonetheless, you’re on your way. If you haven’t done the following 5 things by now, get moving! Stabilized Your Cash Flow: By now you’ve learned how much money you need to have come in every week to make sure you can pay your bills, buy your inventory, earn some money to live on, and so forth. If your cash flow seems wildly unpredictable, workout a revised sales and marketing plan so that you have decent estimates of your revenues if you haven’t already. You should also have a fair idea from your books and records of how much you have to spend each week, how much money you can keep in the bank, and what kind of profit margins you should expect. You need to tweak your strategy, tactics and/or operations to get your margins to where they can sustain themselves. Remember, without sufficient cash, your small business is fried. Made Plans to Expand/Optimize Your Business: You have probably learned quite a few lessons about your small business during the first year. For example, you may have realized that your original plans were overambitious or too timid relative to the market conditions and to the availability of capital. You might have uncovered underserved elements in your market that you can capture by expanding your product /service line, your geographic locations, and/or your operating hours. Secured Adequate Working Capital: Based on your performance so far and your plans for change, you need to establish an adequate amount of working capital to fund your operations, including inventory purchase. Your best bet after one year in business is to contact IOU Financial to borrow up to $150K effortlessly and at an affordable APR. If you own at least 80 percent of your business, have an average credit score, have a positive daily cash flow that lets you keep on average at least $3,000 in your business account, and you clear $100,000 a year in revenue, you have an 85 percent chance of getting the loan you want from IOU Financial. Forget about bank loans, they are really hard to get. Hired the Proper Staff: You might have started off as a one-person operation, or maybe you began with a small staff. After a year, you have a better idea of how many and what kind of people you need. If you haven’t done so already, dismiss any unproductive staff and find the best people you can afford. Developed Your Social Media Strategy: Your website should be search-engine optimized, bug free, contain perfect content (if not, hire a good freelance writer), and include, if appropriate, a bullet-proof online checkout facility. You should have set up your accounts on Facebook, Twitter, LinkedIn and so forth, and made sure you continually add new material onto your social media sites. Enjoy your second year – with sufficient know-how and capital, you’ve got a good shot at long-term success. Get more important tips from IOU Financial as you grow your small business by subscribing to our blog. Starting your own small business is at once exciting and threatening. Any entrepreneur spends a lot of time planning and fretting about a new venture, with alternating periods of exhilaration and despair. So much progress, but so many pitfalls! As the time comes to pull the trigger, your doubts rise and you hesitate. That’s normal, and you can get through the opening jitters by thinking big –turning your dream from a small enterprise to an industry legend. You may not get there, but the trick is to operate as if you will. This requires playing attention to the big picture while managing the many small tasks needed to advance the business. Here are three important tips for starting small but thinking big. The energy needed to make a business succeed is more akin to the output of a marathon runner rather than a sprinter. The overwhelming anxiety creates the urge to do everything at the same time. Unfortunately, this way lies madness, or at least exhaustion. Do not become a burnout, a working machine who sacrifices family, friends and enjoyment. Instead, concentrate on those tasks that will tend to sustain the long-term success of your business. Then, set a realistic pace that you can sustain for at least a year, maybe several.Behavior management is key to creating helpful habits and extinguishing self-defeating ones. To prevent burnout, first set the boundaries between work and personal life — if you commit to 10 hours a day at work, make sure the other 14 are devoted to non-work activities. Take weekends off, or at least Sundays. Reserve time for creativity and relaxation, and go on vacations a few times a year. This is how a top executive handles life — so should you. What are the major challenges you wish to solve? How will you recognize and measure success? How will your actions alter your industry? These kinds of questions are harder and more nebulous than figuring out whether to order the red widgets or the blue ones. You need both types of thinking, and you’ll soon discover that there is no one “correct” answer — you can succeed via several different paths. Overcome the ambiguities by embracing experimentation. That’s right, instead of adopting the “ideal” strategy, try several different ones and see which one yields the best results. You’ll learn a lot from experimentation and get a better gauge of your market. You will also learn to let go of perfectionism, to get products and services into the marketplace quickly, and to use marketing resources such as product focus groups or pilot projects for services. Ask yourself what are the biggest questions confronting your endeavor and then design experiments that will yield the answers. That’s a great way to fail. If you want to succeed, identify entrepreneurs and businesses that provide inspiration. These are the businesses you want to resemble when you become big. Remember, titans of industry usually had modest roots, just like you. Research their early years and pay attention to their decisions and milestones. See how they handled their challenges and doubts – it will take some of the mystery out of your future.Another thing to research is how they funded and grew their finances. This means forming strategic relationships with lenders, such as IOU Financial, to ensure money is available when you need it. Stay focused on your long-term growth, create good habits and take small steps that build your momentum for success.